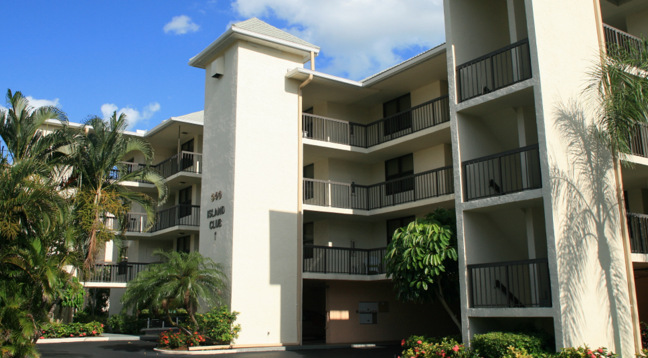 The Island Club condo complex is a stellar example of how Marco Island earned its reputation as a popular tourist and vacation community. Also known as the “Crown Jewel” of Marco Island, this beautiful Marco Island real estate sanctuary has a beautiful setting and is extremely accessible as it is just 20 Minutes from Naples and 45 minutes away from Fort Meyers Airport. With its beautiful furnishings and interiors, close proximity to the beach, and excellent restaurants and shops just a short walk away, it’s easy to fall in love with this place. For all information regarding to maintenance fees for Island Club condos, please contact us via email. The minimum rental period in Island Club is 30 days. A perennial favorite, Island Club condos are very easy to rent all season long. There are two different floor plans in Island Club. They are all two-bedroom plans. Click here to see all Island Club floor plans. Other than the standard perks of condo living, people who stay at Island Club can also keep themselves occupied by playing golf, tennis, going to the gym, or kayaking and canoeing which are all just within minutes of this complex. If you are the adventurous type, parasailing and jet skiing are all within your reach but if you’re not up for it you can just go wildlife viewing, fishing, swimming, or shelling. With great year round weather and excellent facilities and opportunities, this Marco Island inland condo earns its well-deserved reputation as a preferred vacation rental community.